TMC Notification is out. 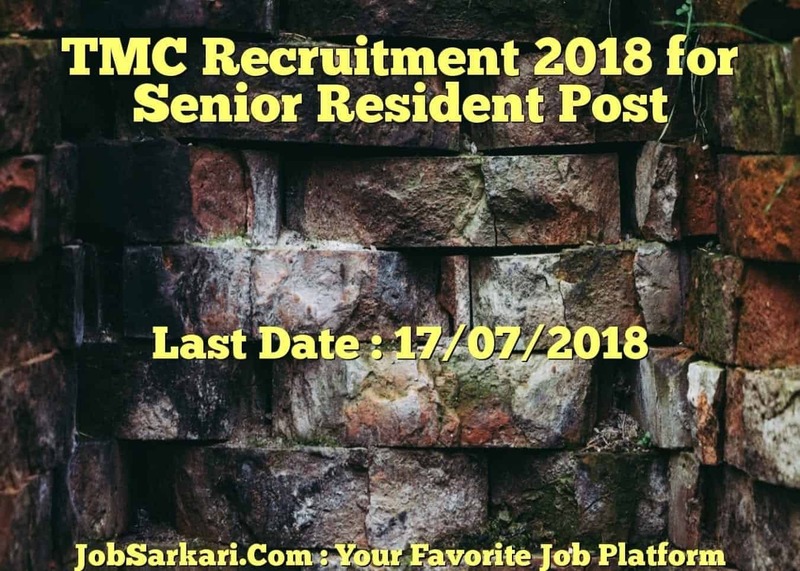 TMC is recruiting for 47 Senior Resident Post Posts. You can check TMC - Thane Muinicipal Corporation last date, download TMC notification, visit TMC official website and check other TMC Vacancy details.Complete Vacancy and recruitment Details about 47 Senior Resident Post vacancies in TMC are provided below by JobSarkari.Com only for you. Last Date for Receipt of Application Form 17/07/2018. Mode of Payment Candidate Need to Collect Application form by Paying Cash. SURGICAL ( I C U) 06. Total No of Post 47. Candidate Must Have Passed MD / MS / MDS With 03 Years Experience as Junior Resident and Valid Maharashtra State Medical/Dental Council Registration is mandatory. 2.Candidate Need to Collect Application Form from Academic Section, First Floor, Rajiv Gandhi Medical College, Kalwa by Paying Requisite Fees. 3.Fill All the Mandatory Details in the Application Fees. Academic Section, First Floor, Rajiv Gandhi Medical College, Kalwa On or Before 17th July 2018. Q. What is the Last Date For TMC Senior Resident Post Vacancy ? A. 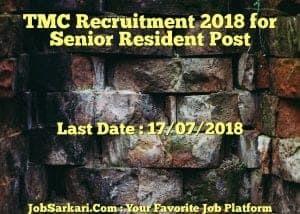 Last Date for TMC Senior Resident Post Posts is 17/07/2018. Q. What is the Form Type of TMC Senior Resident Post Recruitment ? A. The Form Type for TMC Senior Resident Post Posts is Offline. Q. How many vacancies are available in Thane Muinicipal Corporation Senior Resident Post Posts ? A. There are about 50 Vacancies in Thane Muinicipal Corporation Senior Resident Post Posts. Q. What is the Full Form of TMC ? A. Full Form of TMC is Thane Muinicipal Corporation .